Parenthood is the gift that keeps on giving. Just when you think you’ve got it all figured out, it presents a new challenge as well as a new opportunity to impact our children’s lives. Some see it as a burden; I choose to see it as something to embrace. 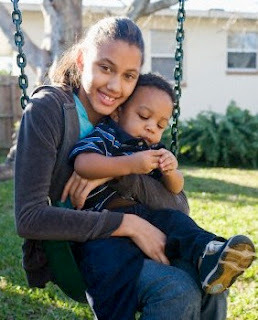 I have a teen daughter and a son who’s almost a year and a half old. Managing the responsibility of raising these two, along with my wife, isn’t always easy. But let’s just say I do a lot of on-the-job training. My daughter is from my former marriage and my son is from my new marriage. You see, we have a blended family. And this family is my life. Knowing that I have a new opportunity to live happily-ever-after in a new relationship is something that I readily embrace. And I’m willing to do all it takes to make this one last a lifetime! 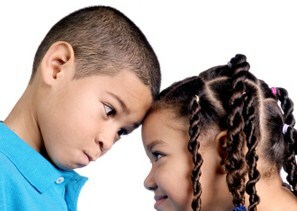 You may have heard the term “sibling rivalry” used to describe the relationship that often develops between brothers and sisters. The reasons that cause the rivalry to develop are many but one thing is for certain – it is a reality that many families face. The nature of blended families is such that when you have stepbrothers and stepsisters, the relationships can be worse than the traditional rivalry between siblings. Kids with different dads or different moms can easily find themselves in competition. It just comes with the territory. 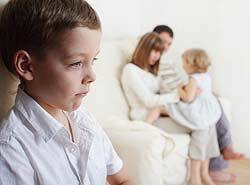 What can we do as parents to help to minimize the effects of this phenomenon when there is a blended family? That’s the purpose of this post. About 2 years ago, when my wife and I told our daughter that she had a baby brother on the way, she was less than thrilled. You see, years before, I was a single dad. It was just she and me living our lives and making the most of it. When I started dating the person who would become my wife, my daughter felt that the attention and affection that was always directed towards her would now be redirected to someone else. The dating process that eventually led to marriage was one of the challenges that put to the test the skills that I had developed as a parent. You can read more about this in: The Story of My Blended Family. Our “blending” wasn’t something that happened overnight. We had to put certain measures in place to ensure that each person would be happy in this new union. So almost a year into the marriage, when my daughter learned that a baby was on the way, she said to me, “All this time, I had your heart to myself. Now you got married and your heart got divided in two – she got one half and I got the other. So now that you’re having more children, my half is just gonna get smaller and smaller.” I was dumbfounded. Just when I thought I had it all figured out, I had a new challenge on my hands. Since that time, my wife and I have been so conscious of the fact that our daughter needs the assurance that all will be fine, regardless of the number of children we have. The important thing is that the love for her is unconditional. Now our daughter has a totally different outlook on her role in the family. She’s a big sister and she has fully embraced that role. She lovingly plays her part in her little brother’s growth and development. Sometimes it’s changing diapers; other times it’s feeding; and other times it’s just playing with him because they both have a great time. I know it’s just the beginning of their relationship but I think they’re off to a good start. And as long as we as parents do our job, they should grow closer as time goes on. 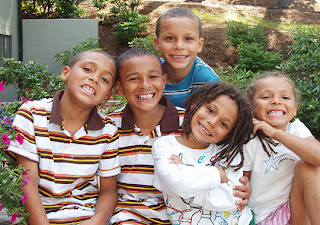 When blended families come together, I believe that parents ought to help children learn that their new brothers or sisters might have different moms or dads but they are just as valued in the family. Sometimes the rivalry that develops in a traditional family comes from parents displaying preferences for one child over others. In a blended family, that can be disastrous. 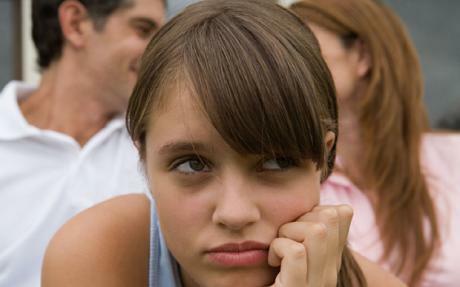 It’s not unusual for marriages to breakup because the kids didn’t embrace their new siblings. In my case, the two siblings are 12 years apart and the younger one was born in the marriage. But what about cases where older kids see their parents get married? That can certainly be a challenge. Some kids have a hard enough time accepting a new mom or dad. Dealing with a new sibling takes things to a different level. They may have to share rooms. They may have to start doing things with another person when they were used to having their space and doing their own thing. · Have a talk. Before the families come together, it’s good to have a talk and let each child know what’s happening. Listen to them express their concerns and help them weigh the pros and cons of having someone else to call brother or sister. Then assure them that they can always share their thoughts with you as the family comes together. · Give them time. Adjusting to a new situation is part of the routine that kids learn. They learn to meet new friend. They learn to adapt to new schools. So joining a blended family is just another thing that they can get used to. In each changing situation, they need time to adjust. Don’t be pushy and try to force them into accepting the new relationship. Give them time and let them learn to see that the new relationship with another sibling is a good thing. · Plan “get to know you” activities. Think of activities that kids like to do and bring them together to enjoy some time getting to know each other. For younger kids, it can be time at a place like Chuck E. Cheese’s. For older kids, it can be going to the mall or the movies or maybe to an athletic event. Just let them get to know each other while doing something they love. · Always listen. This is a very important point. Kids like to know that their cares and concerns are of importance. So establish and open door policy where you allow them to respectfully share their thoughts. This boosts their self esteem and helps them adjust to the new situation. I hope that these tips are helpful as you deal with your own situation. They can work wonders when implemented. Parenting has its challenges, no doubt. This is one area where parents can make a real positive impact that lasts a lifetime. Blended families are special in their own way. And kids who get a new brother or sister can learn to enjoy life in a whole new way. It’s up to us to help create the environment that will help them thrive in the new family.